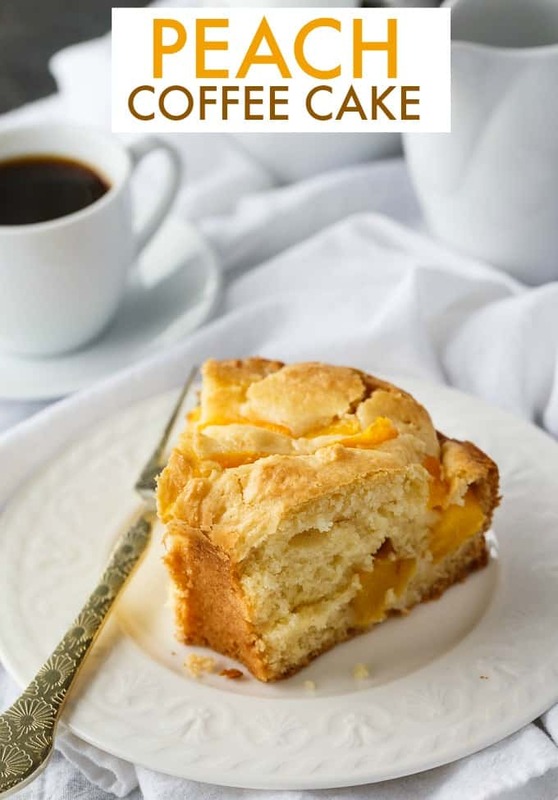 I’m a big fan of coffee cakes and this easy Peach Coffee Cake recipe is one I enjoy making. I like that it has just the right amount of sweetness and doesn’t overpower your senses. It pairs perfectly with a cup of coffee as an afternoon snack. 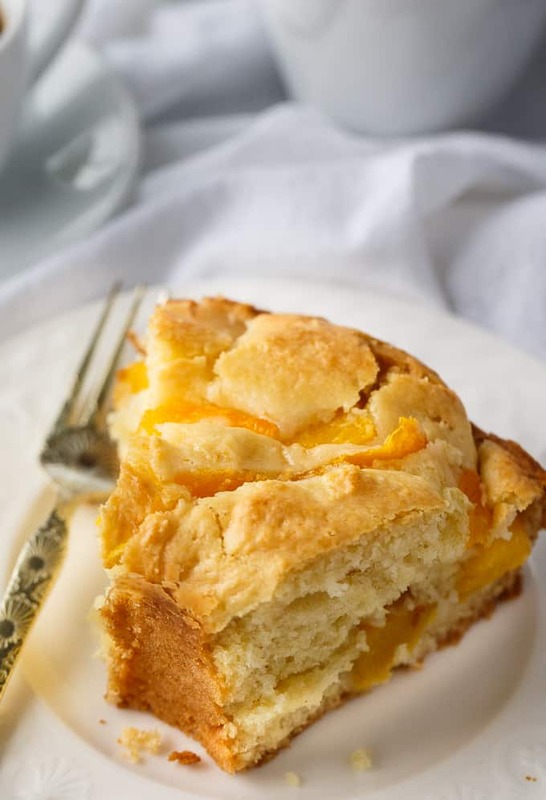 Eat a Peach Day is August 22nd and I think this Peach Coffee Cake is the perfect way to celebrate! 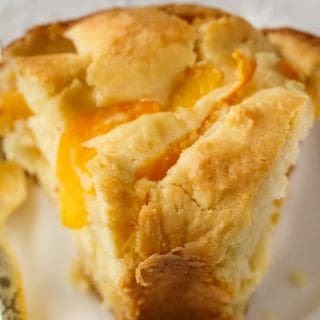 It’s made with canned peaches, but you could easily use fresh if you wanted to. I used canned peaches because they were easier for me and I was short on time. Story of my life! This coffee cake recipe is made in an Angel Food Cake pan. It was my first time using one and I’m happy with how it turned out. 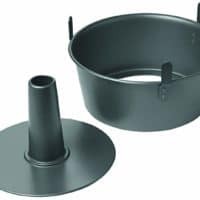 Word of caution: be careful when removing the cake and make sure you have a surface underneath so the cake has somewhere to go. You don’t want to drop it on the floor and ruin all your efforts. The first step is to mix together the dry ingredients: flour, baking powder, baking soda and salt. 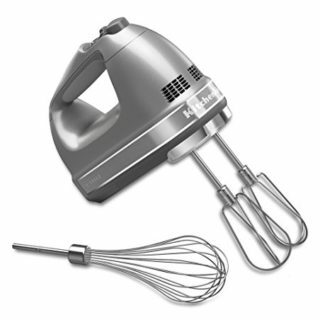 In another mixing bowl, cream together the shortening and sugar with an electric mixer. Add in the eggs, sour cream and vanilla and then beat together until its combined. Stir in the dry ingredients and fold in the peaches. Pour the mixture into a greased Angel Food Cake pan. I put the pan on a baking sheet just in case. When I made it, it didn’t spill over, but you never know. Bake the cake for 50 minutes at 325F. You can check it with a toothpick to see if its done since our ovens may be different. You might also like this Fruit Cocktail Cake. 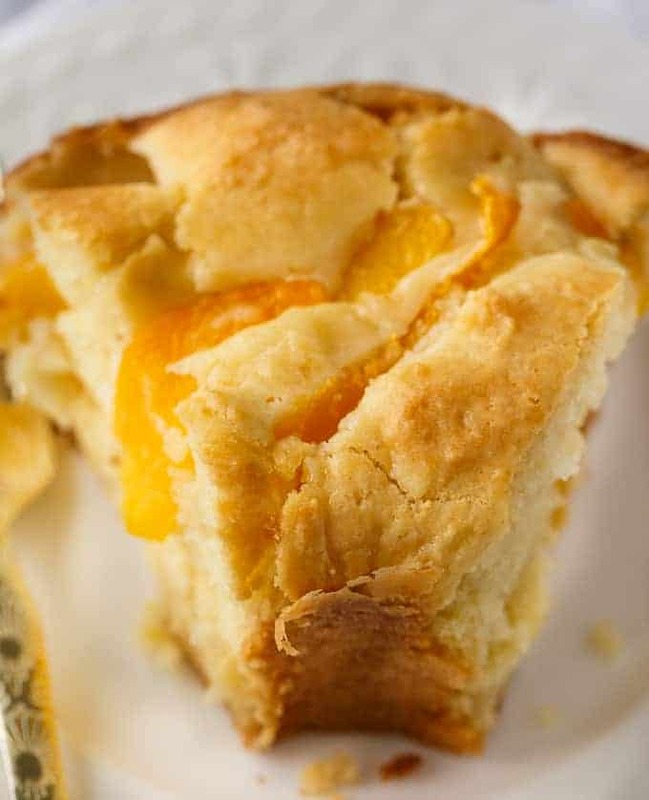 Moist, a little sweet with perfect peach flavor. This easy coffee cake recipe is a lovely afternoon snack. In another bowl, cream together shortening and sugar. Add eggs, sour cream and vanilla and beat to combine. Add dry ingredients and fold in peaches. Pour mixture into a greased angel food cake pan. This recipe definitely made my mouth water. Thanks for sharing! 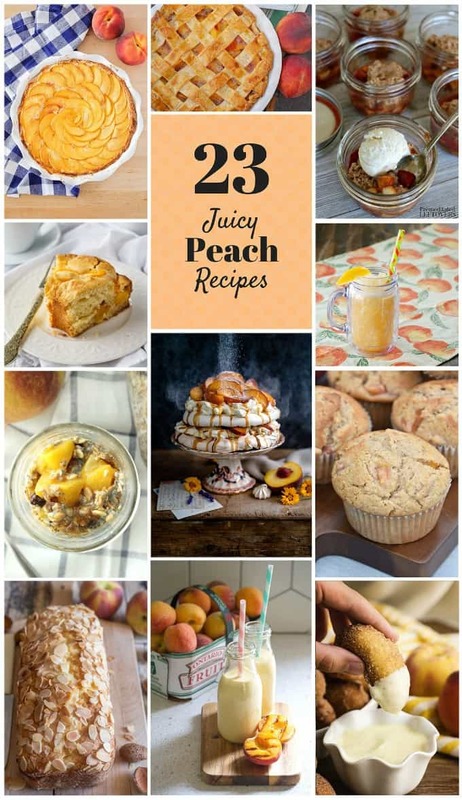 I am a peach lover, and your recipe is making me drool! It looks amazing and so darn good! Thanks for sharing at Celebrate It! 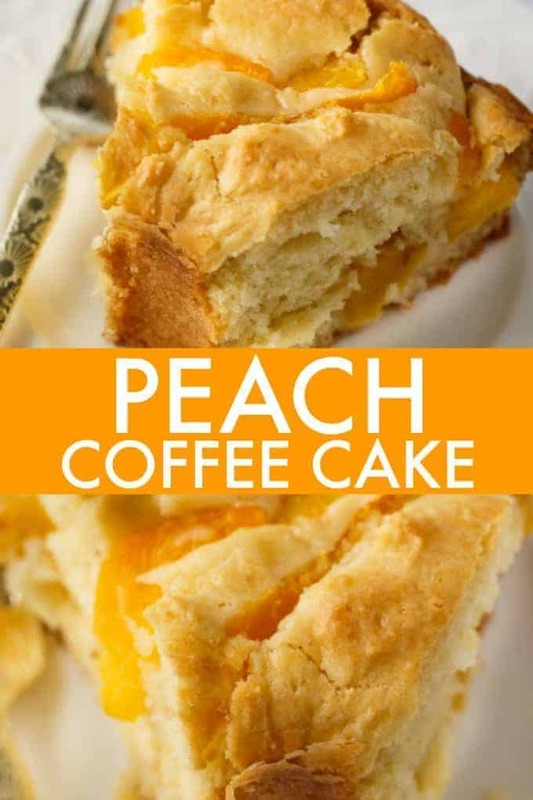 This Peach Coffee Cake looks Fantastic! Thanks so much for sharing with us at Full Plate Thursday, we sure enjoyed your post! 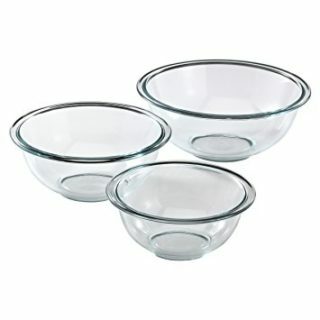 can butter be used in place of shortening?